In 1985 the horse rug industry was changed forever with the establishment of Horseware Products Ltd, by Tom and Carol MacGuiness. They're determination to produce a rug that didn't leak, didn't make the horse sweat and didn't slip led to the creation of the Rambo Original - the first fully waterproof and breathable Turnout that really worked. By 1996 the Rambo Turnout had become the world's best selling Turnout rug and its design has become the industry standard. 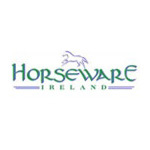 Since then Horseware's key policy of Innovation not imitation means that products are reviewed on an ongoing basis, with continual assessment and product improvements being undertaken with the aim of making life easier for their customers and more comfortable for their horses. The incredible popularity and superiority of the Rambo brand is without doubt and is demonstrated by the overwhelming support from the people that matter - their customers. In addition to all these fantastic blankets, the Rambo range of clothing and accessories has been expanded further still, with a full range of practical clothing and accessories now available for the active, yet fashion conscious rider. Horseware now has a Rambo for you in this fantastic clothing range with such a variety of jackets, tops and kids clothing there is something for everyone and these stylish products are in keeping with our high standards of quality and are suitable for a multitude of occasions making Rambo the obvious choice - for you, your horse, your lifestyle.